I had forwarded to me two complaints (with multiple possible infractions) filed against Longmont City Council at-large candidate Kaye Fissinger. Apparently, the City Clerk will present these to the Election Committee on Monday Oct. 26 for them to do their Preliminary Findings one way or the other. I wrote about the first possible violation, but didn’t file a complaint as I figured the Election Committee would just find it on their own as they went through campaign reports. They didn’t, but someone else went through the trouble of reporting it, good for them. I guess we’ll see if there’s a sliding standard for different candidates. The first complaint has to do with an amended report, the second has to do with the huge billboard that’s been driven around town. It’s hard to miss, and probably scares kids. Personally, I think Ms. Fissinger will be a footnote to a footnote in this election and propelled into 4th place (out of 5) since Ed Dloughy isn’t even campaigning. And then it will be back to screaming at us from the podium with all kinds of conspiracy theories and anti-church rhetoric. If you’re torn on who to vote for in this at-large race (you get 2 votes for 2 people), and don’t want to throw away a vote on Ms. Fissinger, you can pick Bill Van Dusen (but if you were thinking of voting for Ms. Fissinger you probably already voted for Mr. Van Dusen), Alex Sammoury or current City Council member Gabe Santos. The latter two offer you the best chance at actual grown-up leadership, not the abrasive style of Ms. Fissinger or the go along with the Benker Bloc rubberstamping of Mr. Van Dusen. We already got the “look Ma, I got elected” scenario with Brian Hansen two years ago, we don’t need to repeat it with Mr. Van Dusen, with all due respect. Three (3) separate loans were made to this campaign, but were not reported on the 10/13/09 campaign report SCHEDULE E, which is a violation of 2.04.204(G) (promissory note or report on a form filed with City Clerk for candidate loan to themselves). 2.04.207(A)1 states this shall be reported on the 21st day before the election. The penalty for not filing this report 2.204.211(C)1 is $400/day, 3 days elapsed before this report was made. The Election Committee needs to determine if this is three (3) separate reports (although they each have different dates as noted below) or one(1) report of three (3) loans. The total fine is either $1,200 or $400. The dates and amounts of these loans were: 8/20/09 $579.35, 9/4/09 $231, 10/9/09 $94.54 – totaling $904.89. As stated above, these loans were later reported in an amended report on 10/16/09 (3 days later). Under 2.04.211(C)5 the penalty is $100/day for each violation. 3 violations x 3 days = $900 fine. The source of these funds were not disclosed and it needs to be determined if this could be a violation of 2.04.204(A) (“conduit”), whereas the candidate is trying to hide a contribution or contributor. 2.204.211(C)4 penalty for “acting as a conduit” is $400 for each violation. 2.04.207(A)1(c), separate from the 2.04.207(A)1 violation above, was also violated for 3 days as the incorrect amounts were reported for total of contributions reported (loans), expenditures made (incorrectly denoted in original campaign report as “In-Kind Contributions), and balance of funds at end of reporting period (off by $25.95). There are no specific fines for these types of mistakes entered on campaign reports, so 2.204.211(C)13 (“Any violation of this Act not otherwise set forth herein”) may need to be applied, which is $100. The Election Committee needs to determine how many of these “not otherwise set” kinds of violations occurred. Supporting documentation is the 10/13/09 and 10/16/09 original and amended reports made by “Elect Kaye Fissinger” that the City Clerk and Election Committee already have copies of. There is no accounting for the expenditure or in-kind contribution in the 10/13, 10/16, or 10/20 Elect Kaye Fissinger campaign reports for a large billboard that has been driven around Longmont that bears Ms. Fissingers likeness, name, and electioneering information (Vote For Kaye Fissinger). In addition, the added expense of the use of the vehicle and fuel must be accounted for. This is not a yard sign, it’s approximately 10′ x 20′ and can only be displayed on a stationary or moving vehicle. This has been seen around Longmont since at least 10/8/09 at the Candidate forum at Silvercreek High School, and is still in use at this date. 2.04.211(C)5 Failing to disclose a contribution or expenditure – $100 per day for each violation, for up to 10 days. It has been displayed for over 10 days and should be subject to the maximum $1,000 fine. The expenditure or in-kind contribution of the use of the vehicle and fuel is a separate infraction of over 10 days equaling an additional $1,000 fine. Uh oh: Wrongmont revived for the upcoming election! My much praised and maligned website Wrongmont is BACK for the upcoming 2009 Longmont municipal election! For those unfamiliar with Wrongmont’s history: It’s a website I started back in 2002 and was instantly noticed by the Longmont Times-Call (even made the front page). I also was highlighted in Yellow Scene when they wrote, “By founding Wrongmont.com, Rodriguez became one of East (Boulder) County’s early independent publishers.” I also got my share of detractors along the way, more fuel for the fire. I retired (temporarily, it turns out) Wrongmont on April Fools Day, 2008. Even people who agreed with the site didn’t like the name, too negative they said. And some fools in the area thought there was shame involved with that site and its name – nothing could be further from the truth. I still sign comments on the Times-Call website with the name Wrongmont. I’m proud of some of the things that site accomplished and take back nothing. In the time since, I started a voter registration drive/get-out-the-vote project Vote! Longmont, I was the Longmont Examiner, the Denver Aviation Examiner, and had a podcast for about 8 months – all things that took a considerable amount of time, more time than I had to commit to them. Luckily, my wife has taken over the Longmont Examiner spot and most of the responsibility for Vote! Longmont, and I’ve added contributors to Longmont Advocate to spread the workload and get different viewpoints. Contrary to what some might think, it’s never been about me. I like to come up with ideas, get them off the ground, get others interested and motivated to get involved, and then leave it to others who may do a better job in the long run. Other than the Examiner spot I resigned from and the podcast which I terminated (which I can fire up again at any time) the other sites are getting better traffic than ever, in large part due to the people who have come on board. Which gives me more time to be focused on what I like most, local Longmont politics. So, I thought it was apropos to bring Wrongmont out of mothballs and use it as a news aggregator for all things related to the upcoming election. The original premise of the site was “what’s wrong with Longmont?” – not that “everything was wrong with Longmont” as some fairly dim people concluded. But what you will find on the site now is exactly what (in my always humble opinion) and more importantly who is wrong for Longmont. There are articles that go back years about current council candidates, and more added all the time. Many were pulled right off Longmont Advocate, some from other news sources and authors. I want to make it as easy as possible for people to find information on these candidates, and as was always the underlying goal of Wrongmont and every other site I’ve edited/published – to get as many people interested and involved in local politics. That goal has never changed – whether it was public speaking, a blog, a podcast, or a voter registration drive. So, sit back and sift through the years worth of material I’ve provided. Subscribe to the RSS feed, or check back regularly. At the very least, learn about what’s going on and who’s involved in your local government, maybe even write your own letters to the newspaper, speak at City Council, and ask tough questions. And of course, VOTE! Let’s see something better than the usual lowly -50% voter turnout. 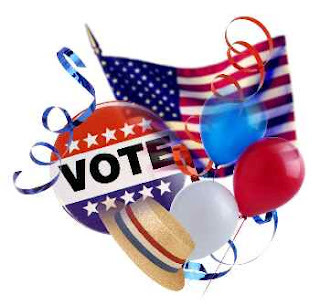 Today at 5pm was the deadline for candidates to turn in petitions to run for municipal office. I was at the City Clerks Office at the deadline to see if there were any surprise candidates, and to see what the final list of candidates looked like. You can see the list so far of who’s on the ballot at this City Clerk link. What was more interesting in who showed up was who didn’t show up. In the race for Mayor, former city councilmember Dan Benavidez did not turn in petitions by the deadline and will not be on the ballot. The same goes for At-Large candidate Bryan Boothby, a no-show at the deadline. Both of these candidates could still be write-in candidates, but their names will not be on the ballot, basically making their run nearly impossible. Also in the race for Mayor, Jeff Thompson turned in his petition, but as of 5pm the required 50 signatures weren’t yet validated. At-Large candidate Jonathan Singer turned in his petitions, but needs a few more signatures as some were invalidated. And another At-large candidate showed up at the deadline (a newcomer whose name has not yet been announced in the paper) but he’s in the same boat, needs more validated signatures. These candidates have until Friday August 28 to get the required number of valid signatures. But besides these three, no other candidates can get their name on the ballot – only write-in is a possibility. There were rumors of other candidates, but they turned out to be just that, rumors. Our Vote! Longmont page will update these races as changes are made (on the Candidates page), as well as the candidates for the St. Vrain Valley School Board. Make sure you are registered to vote in the City of Longmont, especially if you’ve recently moved. If you voted in the last election (November ’08) and haven’t moved, you should be registered. If you haven’t voted in the last 2 general elections, you may have been purged from the voter rolls. You can check your registration at this Boulder County link. October 9th is the last day to register to vote.